I've just been inspired by another Blog. 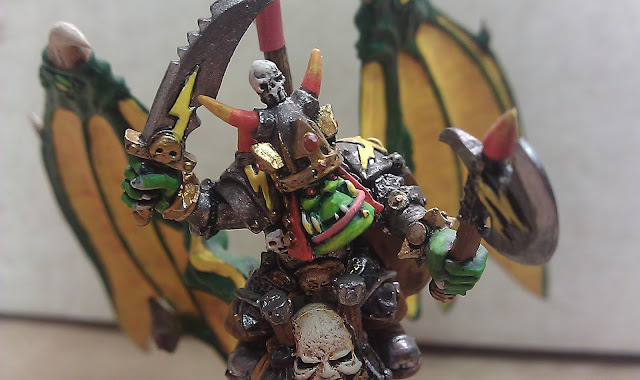 Tommie at The Rainy City Painter Blog has had the courage to put up some photos of his earliest painting examples and I thought I should emulate his example and do the same. I'm not in the same class as Tommie (who is a fantasticly talented artist) but I think it would be interesting to put up some of my earliest crimes against painting. Please mock gently. I was pretty pleased with this one at the time, I tried to get this Ratskin (from Necromunda) to resemble a North American Indian and wanted a natural buckskin colour for the trousers which worked quite well and the war paint was ok. The gun was just base coated and black washed. These Van Saar Gangers were another of my favourites, Brown Ink washed with watered down black ink, no highlights except solid gold on the raised panels. I remember being quite proud of the green Plasma Cannon and the Chainsword but the painting is ruined by the horrible faces I did. The Skaven Blood Bowl players were a big step forward and were probably the last figures I painted before my very long (about 15 years) break. I ut more effort into the bases, there was blending and shading and a better understanding of colour theory. And we're back to artistic atrocities! This was another Necromunda miniature, will you just look at the freaky eyes on that poor thing. I think I knew what I wanted him to look like but didn't have a clue how to make it all work together. I suppose the leather trousers and boots looked ok but the rest is pretty terrible. And as for the Vindicare Assasin, all I can say is i'm deeply sorry to the original sculptor for doing this to his work. This is obviously where I thought a clever idea was a good alternative to actually painting properly. 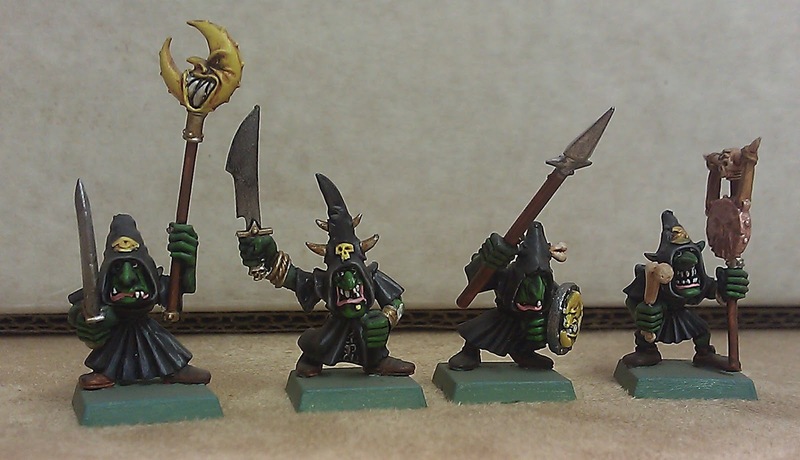 I am on the other hand very happy with these Goblins. 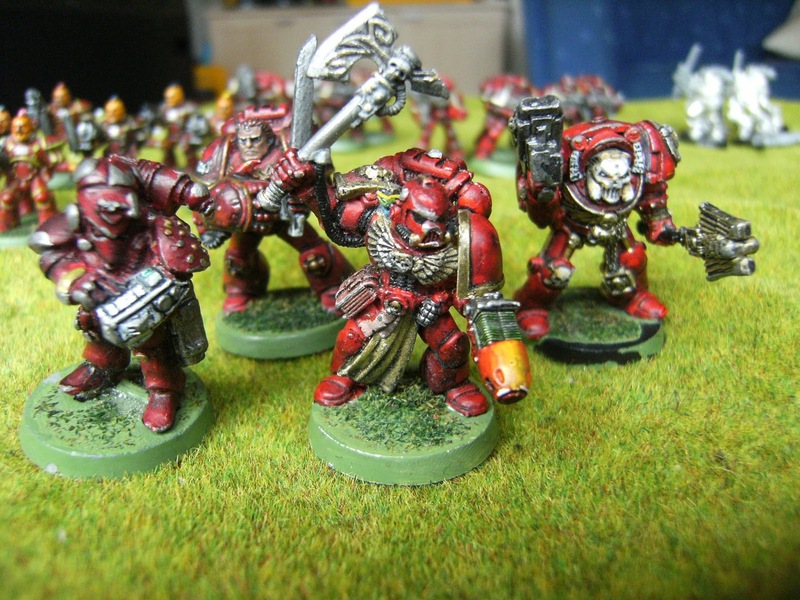 I was, and still am very satisfied with how the Moon Standard worked out and with the exception of the pink lips and a lack of skin highlighting I wouldn't do all that much differently these days, especially for a really large unit like these ones were in. Finally, we have my Blood Angels army. Dreadfull really. I used to just paint them Blood Red and Gold and wash with black ink. The plasma gun was pretty decent though. The Apothecary on the left was the first Space Marine I ever painted.